Fortunately, Milan has a long tradition of expats – remember that leading football club AS Milan was founded by two British expats in 1899 as The Milan Foot-Ball and Cricket Club! And not only sports: Milan has a long history of schools for foreign residents, helping students “plug in” to the Italian educational system, or following British, American, French, German, Swiss or other curricula. 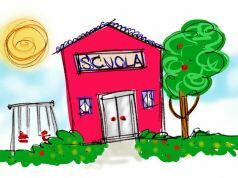 Here is a list of some of the best international schools in Milan, at least one of which is sure to meet your criteria. 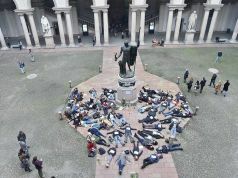 The American School of Milan (ASM) claims to be the only school in Milan offering both the US High School diploma and the International Baccalaureate (IB) programme. Well over half of the student body is international, coming from 50 countries around the world. Average IB scores for 2017 were 36, with just two students scoring a perfect 45. School facilities include seven science labs, two full-size gymnasia, a library with some 27,000 titles, integrated classroom technology and extensive outdoor sport facilities. Bloom International College offers development programme for 3- to 4-year-olds, a primary school with grades 1 to 6, and a secondary school for grades 7 to 9. The high school covers grades 10 to 13. The college follows the Cambridge International Program throughout. Bloom college believes in consultation and partnership between the school, the student and the parents in order to identify and cater for the student’s individual style of learning. The British School of Milan was founded in 1969 to serve the English-speaking expatriate community in Milan from nursery to university. One of the very first British international schools in Italy, the BSM now welcomes pupils from the age of 3 to 18 of 40 different nationalities. 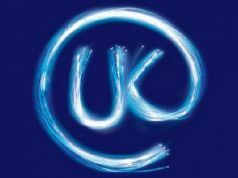 UK-trained teaching staff use a progressive teaching style. All sixth-formers sit the International Baccalaureate (IB) exam with the aim of achieving acceptance into top universities in the UK and elsewhere. The school combines a rigorous curriculum with first class pastoral care, and a community involving students, staff, families and alumni. Founded in 1958, the International School of Milan is the oldest international school in the city. Its staff of 130 teachers instruct almost one thousand pupils of 68 different nationalities. 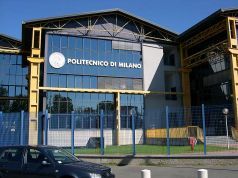 The IS Milan campus in Baranzate, inaugurated in 2013, offers Pre-School, Elementary, Middle Years and High School programmes, culminating in the International Baccalaureate (IB) exam. The campus has three libraries with 40,000 books, scientific and IT labs, theatre and auditorium, art and music workshops, gym, swimming pool, outdoor sport areas and a canteen with on-site chef. The IS boasts a school bus service covering the whole of Milan, including a door-to-door option. LAAS is a private institution catering to both Italian and foreign students aged 3 to 14 in the Brescia area. It offers a Primary Years programme comprising kindergarten to Grade 6, followed by legally recognised Early Years and Elementary School programmes. The Middle School prepares students for the Italian state exam Primo Esame di Stato (formerly Esame terza media). More senior students sit for both the Cambridge Preliminary (PET) and Instituto Cervantes Spanish-language examinations. School facilities include open plan, soundproofed classrooms around a central agora, robotics and science labs, an American-style gymnasium, two-storey library, winter garden and infirmary. The Bilingual School in Monza celebrated its 20th anniversary in 2015. It is a certified IB (International Baccalaureate) school and a member of the European Council of International Schools. Students aged 3 to 14 are taught not to abandon their first language, as many families do when settling in a new environment, and which the school principals believe is a mistake and a loss, but to keep it alongside new languages as a valuable resource for integration in society. Local-based and international pupils are taught in the dual language immersion model. Since 2002, IS Como accepts pupils aged 3 to 18 to follow the International Baccalaureate (IB) Primary Years, Middle Years and Diploma programmes. Teaching is in English. The 9,000 sqm campus uses integrated informatics, and all pupils receive an iPad to connect with this system. The science department has physics, biology and chemistry labs. The school also offers sport, music and arts programmes. The school canteen as an in-house chef and is equipped to respect cultural preferences, allergies or dietary restrictions. The school offers a rich range of after-school sports and other activities. Pupils receive a bilingual education following the precepts of the philosophy of education pioneered by Maria Montessori. The preschool accepts pupils aged from 3 to 6, and the primary school from 5/6 to 10/11 years. In the preschool, education includes allowing the children to learn how to perform “adult” activities on their own. In the primary school, pupils’ attention is turned away from the self-absorption of early years and turned towards the world around them; expert educators encourage and support this. Outdoor activity includes care of a vegetable garden. A range of after-school activities includes piano, violin, karate, circus arts, juggling and coding. The school also offers a summer camp. 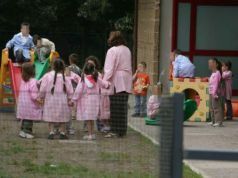 The school accepts nursery and kindergarten pupils from age 3. 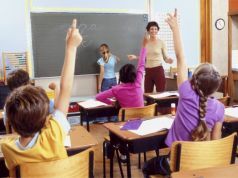 In the lower school and upper school, educators are mostly Canadian mother-tongue trained and certified teachers, following the International Baccalaureate (IB) programme. The CSM encourages students to develop participation in decision-making and community life, both within and beyond the school, by community service projects, development of leadership skills, and membership of “tribes” or “houses” to promote a spirit of fun competition. The school cafeteria has in-house staff offering lunches prepared from fresh food purchased locally, and with respect for pupils’ health issues and religious preferences. The St Louis school with a history of over 20 years, has three campus locations in the centre of Milan: Via Pantano, Via Colonna and Via Caviglia. The school today hosts well over 1,200 pupils from around 50 different nationalities, aged from 2 to 18 years. The Cambridge IGCSE curriculum is offered in all campuses, and in addition the International Baccalaureate (IB) programme in two of them. The average score for SLS pupils in the IB exams in 2017 was 37, with scores of 38 or more by 45 per cent of students, and the bilingual diploma awarded to 67 per cent. The Cambridge IGCSE entries in 2017 saw 57 students take exams in 486 subjects, with 49 per cent scoring A or A* and 84 per cent scoring from A* to C. The Via Colonna campus also offers boarding facilities. 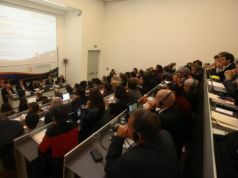 The Swiss School in Milan, founded a century ago, offers bilingual studies in German and Italian at the meeting point of Swiss and Italian culture. The school has a liberal approach to an open learning culture in its infant, primary and secondary schools. Facilities include a fully equipped gymnasium, chemistry, physics and biology labs, artistic and manual activity workshops, and IT labs for both software and hardware, and a library. 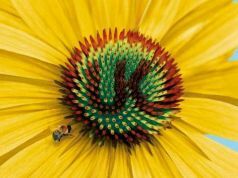 Outdoor facilities include a gardening area for flowers and vegetables and a sports area including volleyball, basketball and 5-a-side soccer fields, with table-tennis and games for the younger pupils. The refectory can also be used as an auditorium. There is a second campus in Cadorago in Como province. 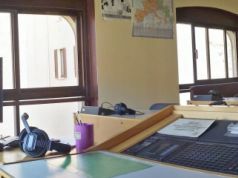 Founded in 1999, BES offers a bilingual curriculum geared to preparing students for further education in international schools in Italy or in Italia schools in other countries. Pupils aged from 6 to 14 enjoy the integration of the Italian official curriculum (officially recognised by the Italian government) and the Primary Years Programme of the IBO (International Baccalaureate Organisation). There is also a full-emersion, English only option for 2- to 6-year-olds. Interested parents can contact the Admissions Manager via the school website to arrange a tour of the facilities and explanation of programme, activities and fee schedules. SJIC currently hosts more than 250 pupils aged from 3 to 18 years in classes from lower kindergarten to upper secondary school. Teaching follows the Cambridge International Primary, Secondary 1 and IGCSE, the British National and the Sri Lankan National curricula. The Cambridge IGCSE programme comprises a science stream, a commerce stream and a humanities stream. Students can sit the Sri Lankan Ordinary Level exams in English, mathematics, science, ICT, history, Sinhalese language, business studies and accounting. The Lycée was founded in 1959; it campus was totally rebuilt and re-opened to students in 2006. It currently hosts some 1,100 pupils of over 25 different nationalities. Secondary school teaching at the Stendhal comprises four years of college and three of lycée, following only non-specialised curricula, without offering SEGPA, professional or technological streams. Schooling leads pupils to three streams of baccalauréat: scientific, economy and social, and literary. The school offers a range of obligatory and facultative options included in the official French school programmes. Students wishing to follow subjects not offered by the Stendhal will be assisted in studying via the Centre National d'Enseignement à Distance (national distance-learning centre) CNED. Andersen offers the English National Curriculum as well as the official Italian school programme. 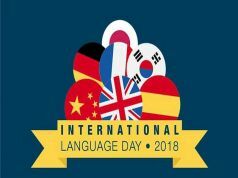 More than 500 pupils of over 20 different nationalities, ranging from 18-month-old infants up to students of middle school level, are coached exclusively by English language teachers and assistants. The school aims to promote pupils’ individuality by means of manual and creative activities. The school provides a wide range of extracurricular activities, including music, football, dance, art, drama, homework collaboration clubs and a News Time group helping students to understand what is happening in the world. Pupils also compile and write a newspaper covering events at the school. AIS is a member of the Council of British International Schools. The IBS in Monza coaches some 260 students from 3 to 19 years and of about 30 nationalities in the International Baccalaureate (IB) curriculum. The school has four distinct streams: Early Years, Primary Years, Middle Years and High School. Classrooms are fully equipped with flat screens, Apple TVs and Wi-Fi. The school facilities include science labs and studios for music, drama, visual arts and design, three libraries and a sports complex. The refectory provides hot, two-course meals prepared on site from fresh material. A range of over 30 extra-curricular subjects for study before or after classes or during the lunch-break comprises global citizenship, sports, arts, languages and science courses. The IBS also organises frequent residential and non-residential study trips. The ICS accepts pupils from age 6 months to 18 years in a structure of nursery, kindergarten, primary and secondary education. The Middle School curriculum includes – for native speakers of Italian – preparation for the state exams, for which it is officially recognised by the Italian Ministry of Education. Maths, science and English teaching follow the University of Cambridge International Examinations curriculum. ICS also prepares students to take the International Baccalaureate (IB) Diploma exam, recognised in 90 counties as qualification for admission to universities. 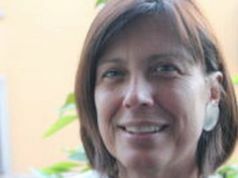 The school also offers Italian language classes for pupils with other mother-tongues.